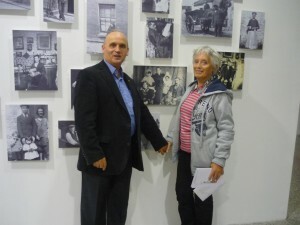 This is myself and my eldest sister Vera at the ‘Digging up Monto’ photo exhibition. It was housed in the LAB Arts Studio in Foley Street, Dublin. All of the photos on the wall are from my family collection. My sister Vera was born in my granny’s flat in Avondale House, North Cumberland Street. She was so small as a baby that she was placed in a drawer in a press in my granny’s bedroom. Vera worked in Williams and Woods on leaving the convent school in Cabra West. At seventeen years of age, similar to many other young girls from Cabra West she moved to England to study nursing. She was a bit on the wild side as a young one and asked her head nun if she could study to become a nun herself. The nun took one hard and long look at her and said ‘Come back next year and we’ll see’. I’m glad she didn’t become a nun. 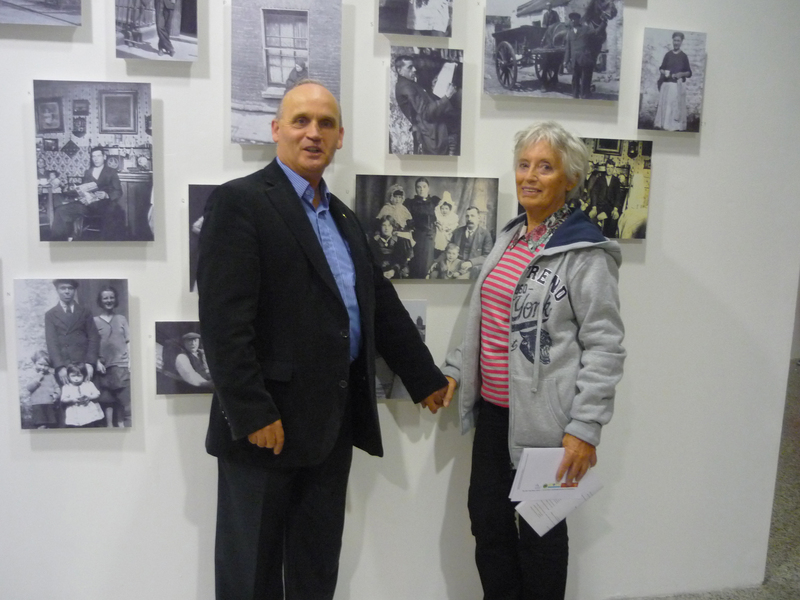 The exhibition has so far proven to be a great success.